Are you looking for the best grocery store WordPress themes for your website? Then, you are at the right place for the solution of your problem. There are lots of theme in the web market and it is difficult to choose from the stack. As some of them are good and of course some are not that much efficient. To make your work easy I have compiled a list of the 5+ Grocery Store Business WordPress Themes. Each theme on this list is simple yet effective and can give your online grocery store business a new height. With features like testimonial section which show your customer’s ratings, reviews, and comments etc on the homepage. All the premium grocery store WordPress themes have WooCommerce integration which transforms your online website into an E-store along with easy PayPal payment gateway. You can also read blogs given below!! Additionally, these themes have special shopping functionality and product presentation. So, without wasting any time, let’s see the themes given below. 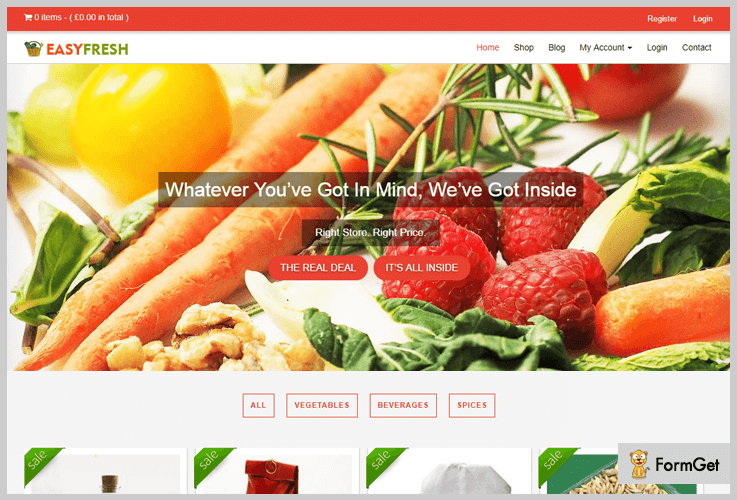 EasyFresh is a simple, clean and modern WordPress theme for the grocery store, food stores, food marts, and all type of shopping centers. This grocery store theme will help you to create a beautiful website for your online business as it contains amazing features like movable sliders and inbuilt contact form, and a lot more. The noteworthy advantage of this theme is, it has WooCommerce integration which helps you to transform your website into e-store. With lifetime usage and support, this fantastic theme is available at $79. It has retina ready display which supports high-resolution graphics. This will surely attract your visitor’s attention. You can showcase all the product on the homepage along with its price tags. Add to cart facility so that customers can also add the products to their wishlist and shop it later. Integrated with a reliable payment gateway such as PayPal. In-built contact section with a lead generation form. GroceryBid theme is integrated with WooCommerce plugin that allows to create, manage and maintain an E-commerce store based on WordPress. 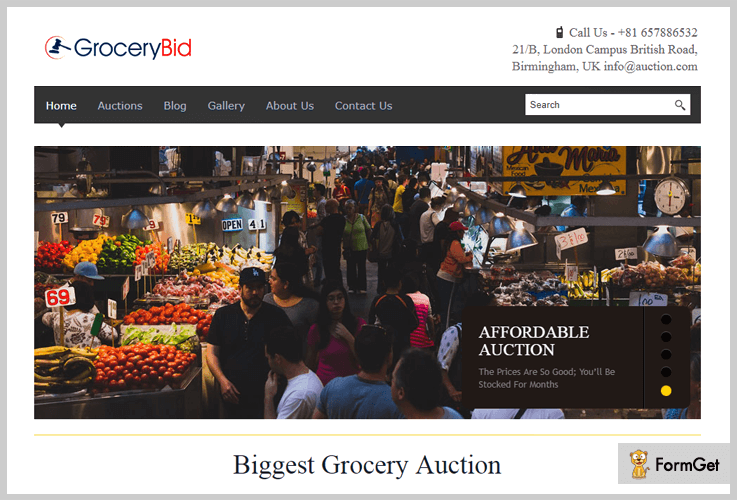 You can make your grocery auction website useful with the help of features like testimonial section, 3 column feature area, which helps you to showcase elements of your web page to the client. One can simply signup with their email to attend the auction. With 24*7 support forum, this high-quality grocery store WordPress theme is available at a reasonable price of $79. You will also get lifetime free updates absolutely free of cost. You can flourish the pictures of your past projects in the slider area with a heading & proper description. This will give your customers satisfactory bidding information. With the help of testimonial section, display your customer’s ratings, reviews, and comments about the services you offer. Through this, your confidence will definitely increase, and it enlarges the credibility. It contains a 3 column feature area which helps you to describe your web page to the clients. Through this, you can gain the trust of your online visitors. Subscription box (lead generation) feature will allow your users to make a subscription to your website. 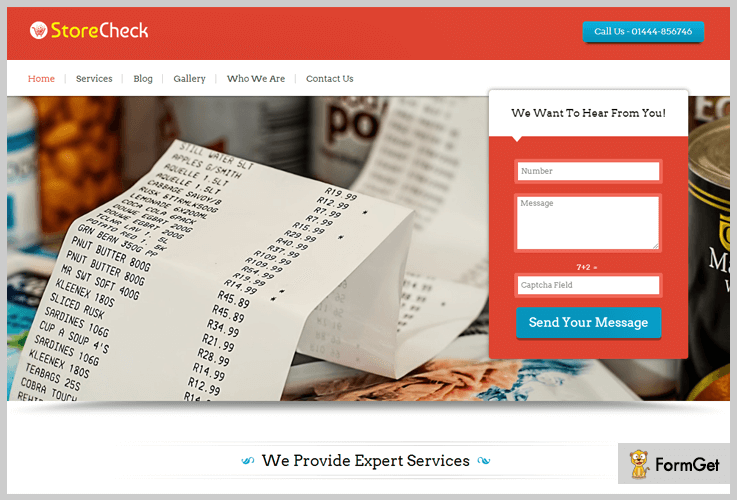 The Grocery Store Check WP theme is an excellent option if you are running a company and would like to launch it on a website. It comes with few amazing features like tap to call button by which user can directly contact you by a call, free newsletter subscription box, widgetized footer area, and a lot more. Further, it supports all major browser such as chrome, Mozilla, and opera etc. This theme has got a responsive layout, presenting the store evaluation techniques. You can grab this unquestionable and simple yet effective Grocery Store WordPress Themes at $79 with 24/7 support system. It has a full coverage slider, with the help of this feature, you can upload endless grocery store photos on the sliders of your web page. This theme has a customer testimonials feature, clients are able to present their reviews in this section. Comes with lead capture form which helps you to grab the leads of potential clients. You also get social sharing icons on the homepage of your website. Online shopping is the number one trend nowadays as everyone wants to buy daily products from the comfort of their home. VarietyStore theme will help you in developing an E-Commerce website which comes with WooCommerce integration. The Dollar Store WP theme also has a facility of easy PayPal payment gateway and compatible with every device, be it mobile or desktop. This feature makes it a responsive theme. Buy this theme right now at $79 and take advantage of this theme which equipped with powerful features to display your work. At this price, you also get 24/7 support, lifetime updates and more. This theme has an inbuilt user registration module that helps users to create their own account with the name, email id, and password. With testimonial section, you can showcase client’ reviews, ratings on the homepage. A remarkable feature in this theme is one user can create many accounts on your site. Present the various services and the offers using pictures along with price tag in the shop section. 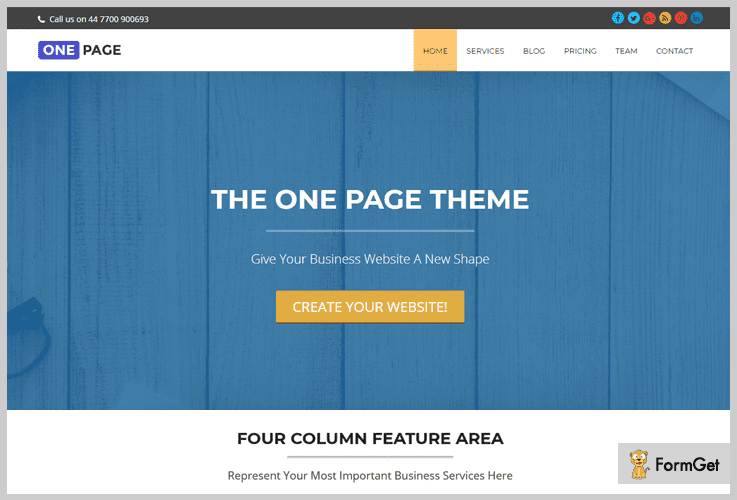 One page is a professional single page theme effectively used to create an incredible business website. If you want to display all the essential services of your grocery store in a single page then you can go for this theme. It has all the features for your website on the homepage such as it gives all the important business information in four column feature area, hexagonal gallery and more. If there’s one thing everyone loves, it’s free stuff. 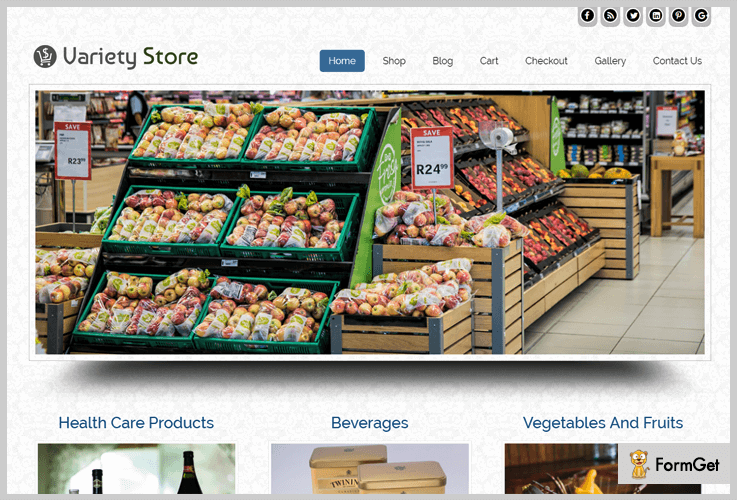 You can grab this single page grocery store WordPress theme for free from the wordpress.org. You can add or remove or edit the sections according to your requirement. Upload your own custom logo and change colors without doing much editing to it. Professional single page layout theme which is retina ready. Add menu and widgets like the search bar, categories, etc in the sidebar. 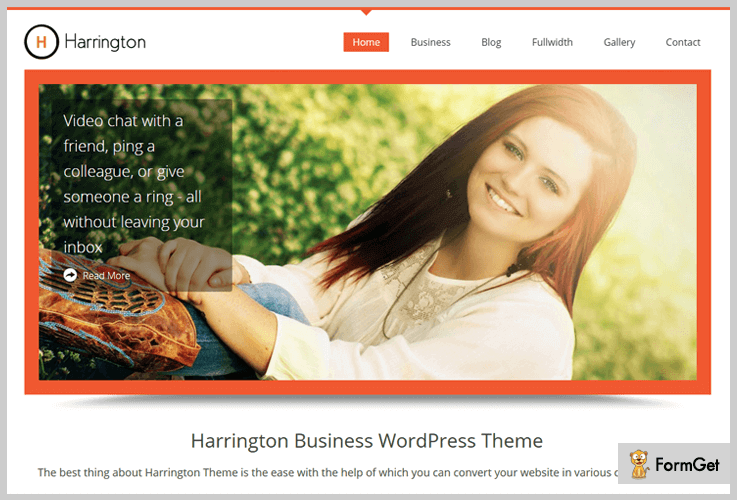 Harrington WP theme is a simple and responsive business theme. It will create a skillful website for your business. This theme presents latest blog entries on the homepage. Further, it supports widgetized areas and featured images. It has been created with lots of customization options. Also, it has different theme options panel like intro texts and background. Attract more visitors by downloading Harrington WordPress theme FREE of cost with lifetime support from one site. Present customers testimonial for your visitors. This theme has the beneficial admin visual editor. It has different stylesheets for print. This theme is designed to demonstrate two different type of featured images, thumbnails for gallery posts and custom header images for posts and pages. Now as you read all the 5+ WordPress Grocery Store Themes, we hope you have enjoyed each aspect of this article and the themes as well. Stay tuned for more themes, create your website and spread your knowledge all over the world. For any queries or suggestions comment us below.